The biggest name in Australian sport this year is not a footballer, a cricketer or even an athlete. 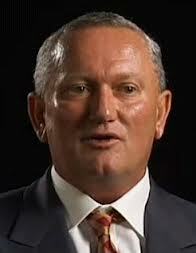 The biggest name in Australian sport is Dr Stephen Dank, a “sports scientist”. He is not a medical doctor, but in 2011 and 2012, he was brought in to help at least two clubs: the Essendon Football Club in the AFL and the Cronulla Sharks in the NRL, the National Rugby League. Why he was brought in, one can only ask those who decided to, but the ultimate purpose seemed to be this: put in place programs of injecting players with peptides that were not WADA-banned, with a view to helping the performance of those teams. This year, the biggest story in sport has been the investigations by the Australian Crime Commission and the Australian Sports And Doping Agency (ASADA), into what happened at these two clubs in those periods. Did their players receive performance enhancing drugs? Did their players receive drugs that were banned by WADA? At the centre of these stories has been one mysterious figure, Dr Stephen Dank, the plaintiff in this, and several other defamation cases recently issued in NSW. In Melbourne, virtually every day has seen page one of the newspapers taken up with the investigation into the Essendon Football Club and the face of James Hird, the coach of Essendon, shrugging his shoulders and wondering what all of the fuss is about. He claims he had no idea what Dank was doing, with those 15,000 injections and that according to Hird’s understanding, everything done was above board. The AFL charged Essendon and Hird, among others, for bringing the game into disrepute. There do not appear to be any records anywhere, of what the players actually received, while the AFL charges allege that the players received WADA-banned substances. Despite being in the press more often than all of the Royals put together, Dank has not issued any defamation proceedings against any media outlet in Victoria. However, in New South Wales, Dank has issued 8 separate proceedings, in what Her Honour Justice McCallum has described as a “juggernaut”. One of the main differences between Victoria and NSW, is that in NSW, the Cronulla Sharks had a player, John Mannah, who died of cancer. Various articles appeared to allege that there might have been a link between the death and the drugs given by Dank. So he has sued the publishers of those articles. The defendants have variously applied to strike out the imputations pleaded by Dank, and a number of those strike out applications were heard by Her Honour Justice McCallum. Using the last 3 numbers from each of the proceedings, this is what happened. “Shortly after, the doc discovered mysterious heavy bruising on some of his players. He discovered that Danks had been injecting them with warfarin, a blood thinning medication, in an attempt to increase oxygen flow. Proceeding No. 487 is for publication of this article in the newspaper and proceeding no, 493 is for publication of it online. Whether Dank is allowed to run separate proceedings for these publications will be determined later, as the defendants have made an application that this is an abuse of process. The plaintiff caused Cronulla players to be at risk of sustaining fatal injuries. The plaintiff oversaw the administration of the medication warfarin on Cronulla football players which endangered their health. The plaintiff acted dangerously by injecting Cronulla players with warfarin thereby endangering their welfare. The first imputation was struck out because there was no reference in the article to any injury which might have been considered fatal. It was held that the second imputation was capable of arising, and that the third imputation was so similar to the second that the plaintiff should elect which one he wishes to press. The plaintiff is a murderer. The plaintiff administered dangerous and cancer-causing supplements to football players thereby exposing them to risk. The plaintiff thereby injected football players with peptides CJC-1295 and GHRP-6 in the period March to May 2011 thereby exposing them to illness or death. Her Honour held that the first two imputations were struck out because nowhere in the article did it say anything about the plaintiff’s intention to deliberately kill Mannah. They were also bad in form for ambiguity. The third imputation was struck out because it did not say anything defamatory about Dank. There was no condition attached to the plaintiff from the imputation. The plaintiff withdrew the fourth imputation, conceding that the word “wrongfully” was unclear. The plaintiff also accepted that the fifth imputation needed to be repleaded. Her Honour then concluded that the sixth imputation, although tenuous, was not liable to be struck out. However, the seventh imputation was struck out because there was nothing in the article that suggested any exposure to death, and so the meaning could only arise from a forced or unreasonable reading of the article. The plaintiff wrongfully administered peptides to Jon Mannah thereby accelerating his cancerous condition. The plaintiff faces potential criminal action by NSW Police Force detectives over Jon Mannah’s death from cancer. For the same reasons as the previous set of proceedings, the first three imputations were struck out and the plaintiff conceded that the fourth imputation was bad in form. As for the fifth imputation, Her Honour concluded that it did not distill any defamatory act or condition and was liable to be struck out on that basis. So where to for these cases? A lot of work still for the plaintiff’s legal team and no doubt, there will be more instalments from Dr Dank’s legal team and their opponents, that we will read about this year.